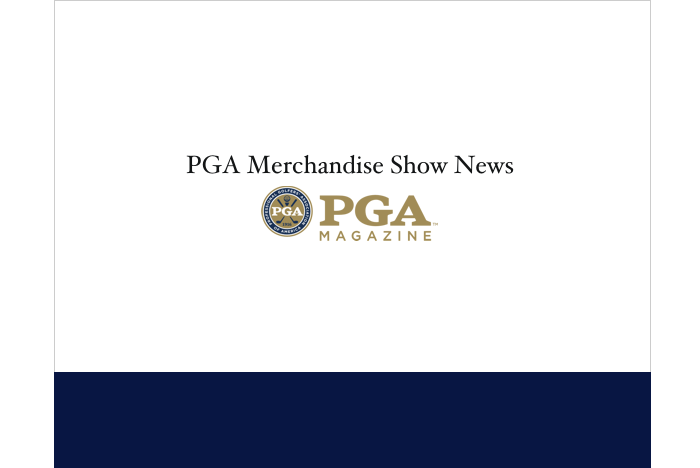 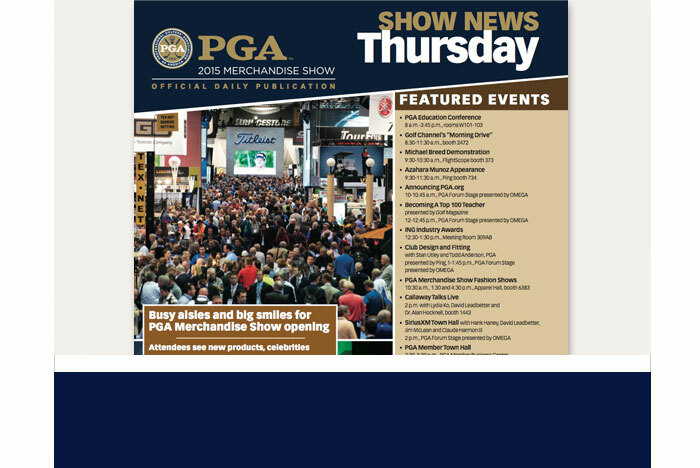 Published in conjunction with Reed Exhibitions, the PGA Merchandise Show News are the official publications of the PGA Merchandise Show. 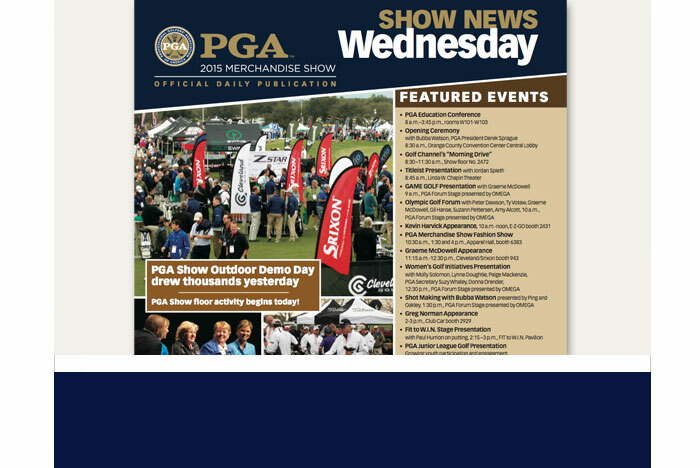 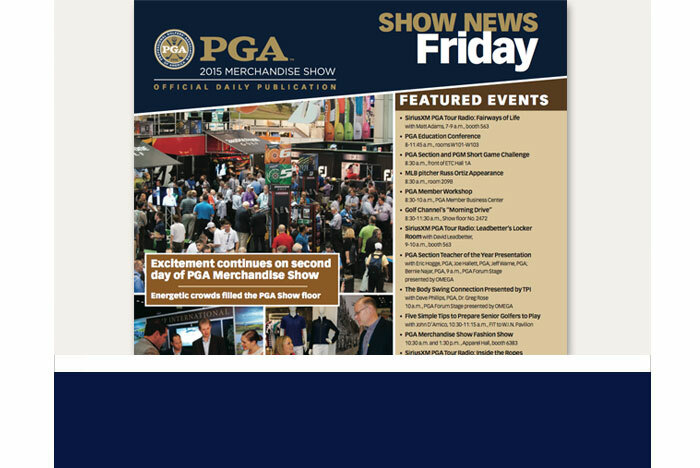 Nearly 90% of PGA Professionals attending the PGA Merchandise Show read the Show News. 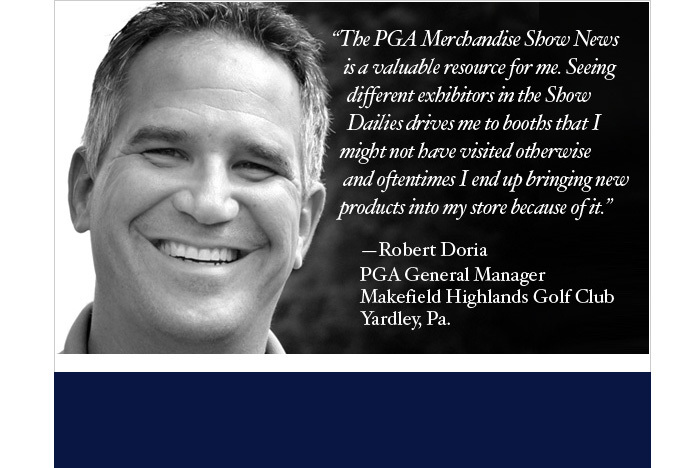 The PGA Merchandise Show News is the most cost-effective way to leverage your presence at the PGA Merchandise Show.